Modern Belgium flags reflect the rich cultural traditions of the Kingdom of Belgium. This small nation of approximately 11 million people sits on the western coast of Europe, bordering the Netherlands, Germany, Luxembourg and France. Its national flag consists of three different colored vertical bands extending from the mast: black, yellow and red. The form of the flag gained inspiration from the French tricolors. 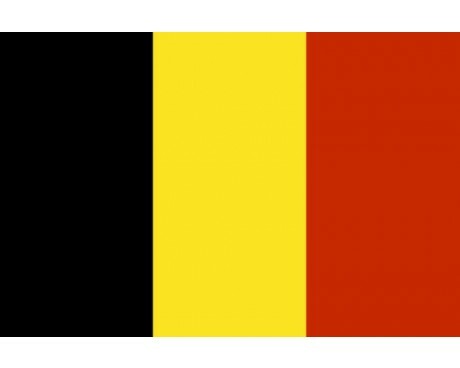 Belgium's flag differs from that of many other nations because it occurs nearly in the form of a square with official proportions of 13:15. Belgium consists of three very culturally different regions: cosmopolitan Brussels, the capital; Flanders, a largely Flemish area; and French-speaking Wallonia. The population of Flanders shares much in common culturally with the adjoining Netherlands, while the people of Wallonia reflect strong cultural influences from neighboring France. Brussels, the ultra-modern capital, reflects the impact of both groups. 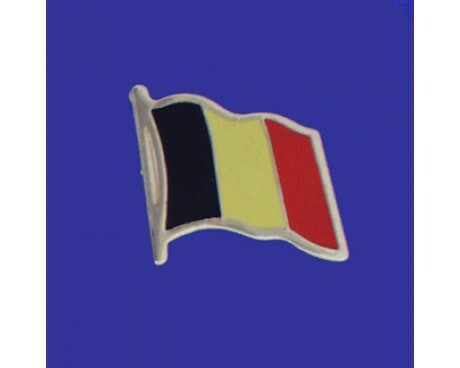 In the past, the Belgium flag reflected strong heraldic influences. The modern flag has discarded some of the feudal symbolism, but has retained color combinations that once figured in the nation's coat of arms, which depicts a lion standing upright beneath a crown. The modern flag dates from the reign of King Leopold I, the first Belgian king after Belgium successfully sought independence from the Netherlands in 1830. Belgium witnessed extensive fighting within its borders during both the First and Second World Wars. However, although foreign flags flew over parts of occupied Belgium, the nation did not change its national flag adopted on January 23, 1831, despite the conflicts. During the 1970s and 1980s, public agitation led to legislative reforms granting greater autonomy to its three regions. In addition to the national flag, each of Belgium's regions maintains local flags, some of them rich in heraldic symbolism. 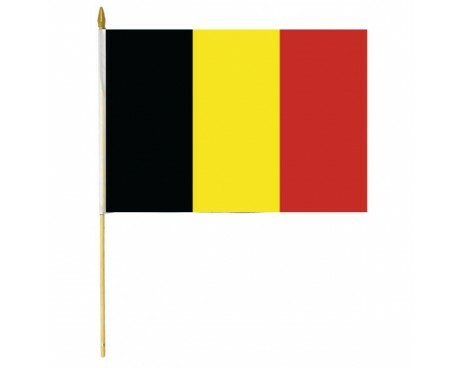 For instance, since 1973, the region of Flanders has displayed a bright yellow flag bearing the black emblem of a Flemish lion breathing red fire. The Walloon region sometimes utilizes a bright yellow flag with the red image of a cockerel since 1998. 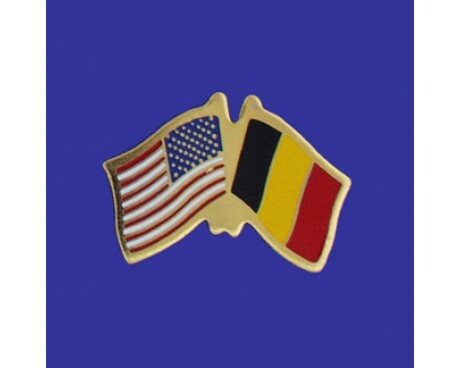 Brussels in 2015 adopted its own flag, too, depicting a yellow, gray and white iris in the center of a blue field. Each Belgian province and many large cities maintain colorful individual flags. Some display the black lion and red cockerel heraldic symbols. The beautiful flags of Belgium still use heraldic symbols extensively. These flags reflect unique local roots.